Plants belonging to the Ursinia genus are usually grown as half hardy annuals in the garden. Ursinia ranges from 30 to 60 cm in height. Its foliage is narrow leaves and they Ursinia blooms from the middle to the end of summer with orange or yellow flowers reminiscent of daisies. 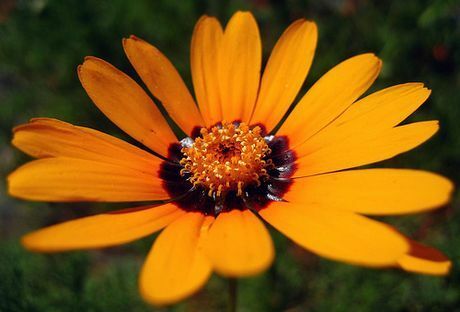 A common name for a commnly grown Ursinia member is Orange African Daisy. Ursinia pilifera by FarOutFlora. Both photographs under creative commons licence. Height: 8 to 20 inches (20 to 50 cm). Flower Details: Orange, yellow, white, purple. Daisy-like ray and disc florets. Sow Outside: Cover seed. Following the last frost. Spacing 6 to 10 inches (15 to 25 cm). Sow Inside: Germination time: two weeks to one month. Temperature 60°F (16°C). Seven or eight weeks in advance. Transplant outdoors a few weeks after the last frost. Requirements: Full sunlight. Good drainage. Ordinary soils. Can survive in dry soils. Provide support. 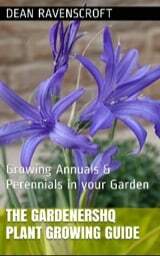 If growing orange African Daisies (Ursinia) from seed then sow just after the last frost of spring. Lightly cover the seed once sown, Orange African Daisy should be spaced about 20 to 25 cm apart, and likes to grow in an area of the garden that is sunny the soil that the orange African daisy grows in should have good drainage and be poor. If growing Ursinia indoors first, then start about 7 or 8 weeks in advance. Orange African Daisy germination time is about two to four weeks, when performed at a temperature of 12 to 15 centigrade. Transplant young daisy seedlings following the last frost. 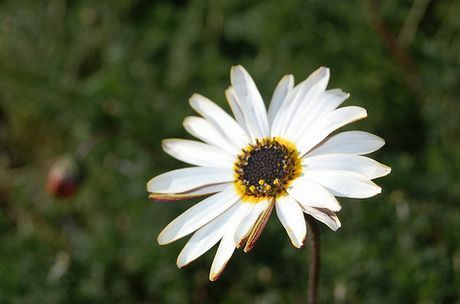 It is best to grow Ursinia species such as Orange African Daisies in a poor soil, if grown in a rich soil they will not be as strong and will require a stake. Ursinia are drought tolerant so no need to water.